Maritime surveillance requirements are demanding specific capabilities and performance such as mission endurance, flight profiles, mission equipment and human factors. Until recently, such missions were performed exclusively by aircraft – some dedicated for the maritime surveillance mission, with others using off-the-shelf transport planes modified for the mission. These missions typically demand coverage of very wide areas, monitoring extensive maritime traffic, as well as deployment in unexpected conditions, in response to emergencies or on search and rescue missions. Therefore, the need for efficient development of a maritime situational picture is critical, enabling the deployment of the few available aerial assets to cover only those areas or targets of significance. The introduction of unmanned aircraft platforms is changing this paradigm, removing the limitations that have restricted manned missions, while introducing new capabilities that significantly enhance operational flexibility and efficiency of maritime control. This capability is specifically important in recent years, as countries are required to cover growing maritime areas claimed by the Economical Exclusion Zones (EEZ) that span up to 200 nautical miles from their coastline or farthest island. In the case of India, for example, such area covers a huge expanse of the Indian Ocean, bordering Indonesia in the east to Somalia in the west. A country cannot cover such vast space from its coastal radar stations, nor can it commit manned patrol flights to cover the entire area. In India, Elbit Systems Ltd. has teamed with Windward Ltd. to offer integrated maritime solutions which combines Windward’s innovative satellite-based maritime analytics system, and Elbit Systems’ wide range of solutions for maritime domain awareness. 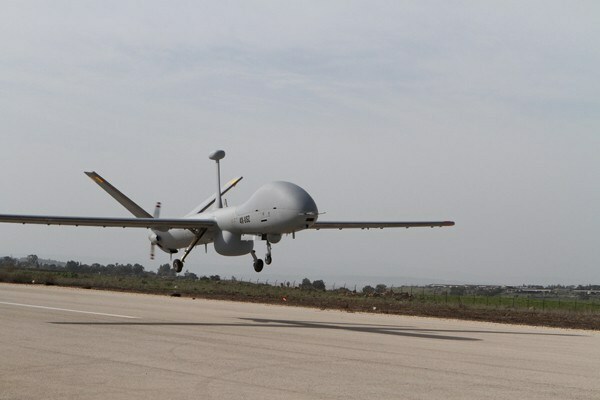 Elbit Hermes® 900 is proposed in a new configuration adapted for maritime mission. This UAS can carry payloads of up to 350 kg. In the maritime configuration the payload suite includes maritime surveillance radar, AIS, an electro-optical multi-sensor payload and electronic surveillance systems. It has the endurance to cover vast ocean areas, redundant line-of-sight and satellite communications links and radio relay, enabling the operator to ‘talk through’ to vessels at sea. The aerodynamic efficiency of the Hermes® 900 enables frequent changes in flight profiles, enabling visual identification of vessels at sea in addition to the ISAR capability provided by the radar. Satellite communication enables it to fly to mission areas at extended ranges as far as 1000 nautical miles from shore. The cooperation makes available a unique system adapted for very large maritime area monitoring, providing authorities with powerful means to control India’s waters. 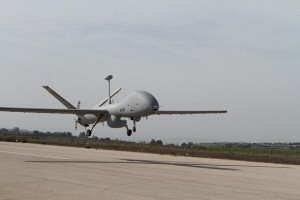 Furthermore it is to be noted that the command and control systems has the ability to control two UAS simultaneously from a single ground control station, using the two redundant data-links. This has a significant effect on the assets, manpower and operating cost, as well as in improving the efficient utilization of UAS that can now cover more area or run a denser surveillance over a given area. The maritime command and control system employed at the ground control is optimized for the maritime mission, supporting specific mission planning applications such as maritime search, Search and Rescue, etc. The entire command and control is located in a single shelter, which can be operated on shore in a mobile shelter base or indoor configurations at sea or co-located in several locations.